Need a phone line installed, repaired or additional outlets In your home or office premises? 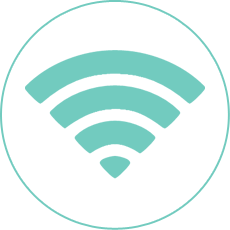 If you have been notified by your internet or phone service provider that up to the network boundary is ready for connection of your new ADSL, Naked or phone /fax line. Our technicians are ready to complete your connections A.S.A.P !. Lead in cables are the end of a service provider's network. One end connects to your property known as the BEP (Building Entry Point), the other comes straight from the service provider’s network via a pit on the footpath or council land strip. This is where your business or your home’s cabling connects to your service provider’s network. Digital TV Antennas Installation and Repair, extra TV outlets , TV wall mounting flat screen , component setup DVD. Cable TV Satelite installation and repair, extra outlets and filtering foxtel to all rooms from one set top box. Surround sound cabling installation.Digital TV Antennas, Same Day Service, up to five years warranty. Does your ADSL/ADSL2+ have a common problem of dropping out, it can happen at any time, it may be the result of an old or poor connection or a poorly installed cable, There are many reasons why your internet may be slow or not working but our experienced quality technicians know the methods of fast reliable internet and can get your internet back up to speed. 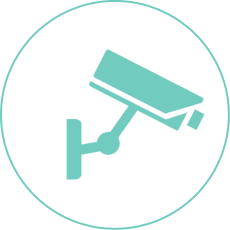 Here are a number of other benefits, beyond a reduction in criminal activities that may be accrued from a CCTV system including, monitoring for aid of people with medical conditions, Place management, infomation gathering and aid in police investigation. Taking second chances when it comes to the safety of your family and home, is not an option. Having more than 20 years of experience, we have gained expertise in Mobile Phone Signal Boosting, super fast internet set up, digital TV antenna, NBN phone lines installation, CCTV security and many more in Sunshine Coast. Digital TV Antennas / Aerials, Amplifiers, TV Flat screen wall mounting, Optimum Signal Meter Surveys, All component setup plus smart TV install / Networking and Training. New phone lines and repairs, ADSL Line Internet Installation, New outlets, Home & Business and Lead-in cabling- Underground & Aerial lead-ins. New Installation and repairs, New outlets, Distribution to all rooms in the house and Signal Meter testing upgrades. Internet Speed Upgrades / Fault repairs, Data Network cabling installation, ADSL & Cable Broadband Modem setup, Home & business office data computer networks, Main frame Patch Pannel installation / Repair and New Data Outlets. Secure your home or office and View online from anywhere. We use High quality Australian made products that last up to 30 years, galvanised Antennas and masting, also compression water tight connectors and the best Low Interferance Hills 4G Amplifiers. We can also locate any faults in your current system and repair with our Advanced Technical Meters, wall mount TV hiding all cabling inside the cavity walls for a stylish and professional finish, setup and install Smart TV and all other components fetch TV, Telstra T-Box TV, AppleTV, Media players and network everything. Running a wired network will require you to consider a few things before you get started. Firstly you will need to have a room in the house or office that will act as your comm’s room. If you keep experiencing problems with an old and outdated MDF (Main Distribution Frame) or sometime also called a Telstra Connection Box, we can upgrade your MDF with a modern main frame so all your connection points are safe and secure. Are you looking to have your home or office wired for high speed internet? 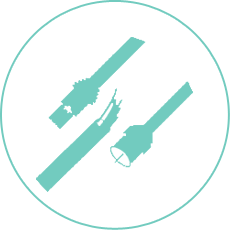 We can provide you with the right cabling that will meet your needs. Install your sockets and outlets at the office end and neatly wire all the cables back to your patch panels. We are the #1 company on the Sunshine Coast recommended and referred by many of the major ISP including IINet – TPG – Optus – Telstra – Exetel and others. We provide you with a very reliable and speedy service that can locate and repair many of the common ADSL faults within 1 hour. "Thanks for the quick and happy service Paul We found Cable Tech through word of mouth, recommended by a friend They told us he new his trade very well, was fast and reliable in areas of Telephone and TV. We needed some new TV and phone points installed, He arrived same day, we were very happy with his prompt service and high quality work, plus very reasonable price. We have recommended him to other friends." "Avalon NSW Paul has completed many jobs for us over the years in TV Telephone & Data.His work is always spot on and our customers always comment on how courteous Paul is. i will not hesitate to keep recommending him for all comms work." "Paul and i have been working together for many years, I often call him for assistance when I am unsure of some of the newer technology, his work is of high quality There is no hesitation recommending him for any communications related work." 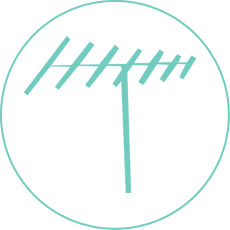 "Paul Has been servicing the phone TV and CableTV in the village for the elderly residents for the past 3 years, we found his work to be exemplary, very please personality taking very good care with lots of patience for the senior tenants He is highly recommended." "Carola Front desk Operator Paul is a caring and kind technician that always looks after the tenants and has been for the last 7 years I will always call Paul for his prompt and reliable service Thanks Paul."